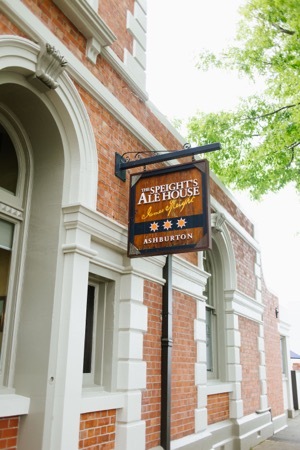 Experience versatility, elegance and a vibrant atmosphere while dining in Mid Canterbury at Ashburton's Speight's Ale House. Conveniently located in central Ashburton on the corner of Burnett Street and Cass Street, we offer off street parking, a secluded beer garden and a warm indoor environment. 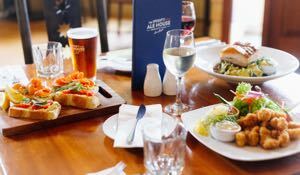 If its good Southern food matched with local beer your after then the Ashburton Speight's Alehouse is the place for you. The building itself is steeped in history being built in 1898 as a bank. At over 100 years old, it's transformation to a Speight's Ale House has ensured it continues to command it's place in local history and in the hearts (and stomachs) of the locals. Well priced, and a favourite with locals, the Speight's Alehouse is famous for its Lamb Shank's, Blue Cod & Lambs Fry. Whether it be live sport on the Big Screen, a beer or two with some friends, or just relaxing in the sunny beer garden the Ashburton Alehouse has something for everyone. We're open 7 days Monday - Sunday 11am through til late. Our menus have something for everyone including vegetarian and gluten free options. At The Speight's Ale House we also have several spaces suitable for private functions. Whether it's our courtyard (suitable for up to 80 people) with casual patio style seating or our indoor entertainment bar area with its cozy fire. 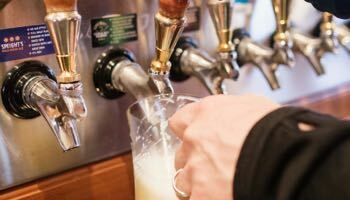 At The Speight's Ale House we have Steinlager, Stella Artois, Corona, Guinness and a selection of Speight's beers and cider on tap, plus a few other surprises. The wine list boasts an impressive selection of New Zealand wines. The Speight's Ale House is ideal for informal dining, casual bar snacks. There are also plenty of options when it comes to bubbles for those special occasions! 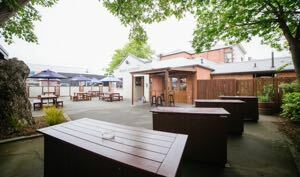 The courtyard area at The Speight's Ale House offers inner Ashburton convenience, and relaxed outdoor atmosphere. Enjoy lunch, dinner, or pre theatre drinks while you bask in the Mid Canterbury sunshine. Our free wi-fi service extends to the outdoors so why not move your office down here on a sunny afternoon and work with a cold pint of Speight's in hand. Enjoy a wine or a gourmet coffee, shelter from the hot sun under a wide umbrella and feel a little bit extra special. The restaurant dining area at The Speight's Ale House offers comfort and intimacy, with comfortable seating and an enticing range of cuisine on the menu. Suitable for romantic dinners for two, special occasion dining, or small groups, the Speight's Ale House offers the ideal space to meet your friends or colleagues for private functions and dinner. The restaurant is open every day Monday - Sunday 11am - late, reservations are strongly recommended.